Today, I have a layered card and keep it as clean as possible with white as my main theme. 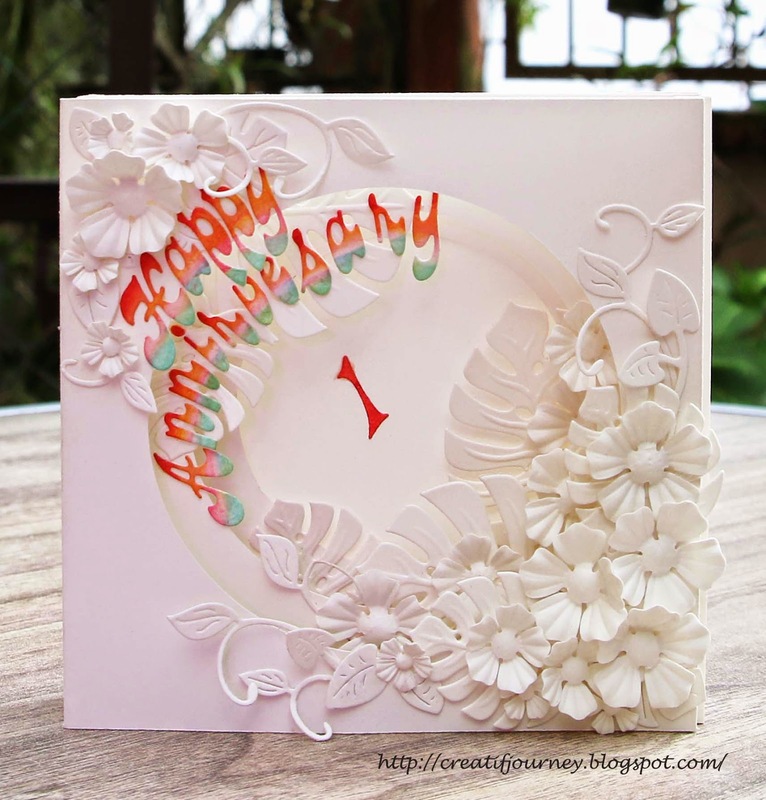 A card that can be used for celebration of wedding as well as anniversary. This is a side view of the card to show the multiple layers. I used a wet cloth to slightly dampen the punched out floral shape before I embossed them to create a stronger and deeper impression. Simon Says Stamp Monday Challenge "Don’t abandon the coral"
WOW! What a beautiful creation ... awesome design! Love all the layers! Thanks so much for playing in our ‘ANNIVERSARY’ challenge at Dies R Us! Please come back again soon! Stunning white on white card and your small burst of colour is an elegant touch. Loving the layout of your floral bouquet. Thanks for joining in the challenge at Cheery Lynn Designs and good luck. 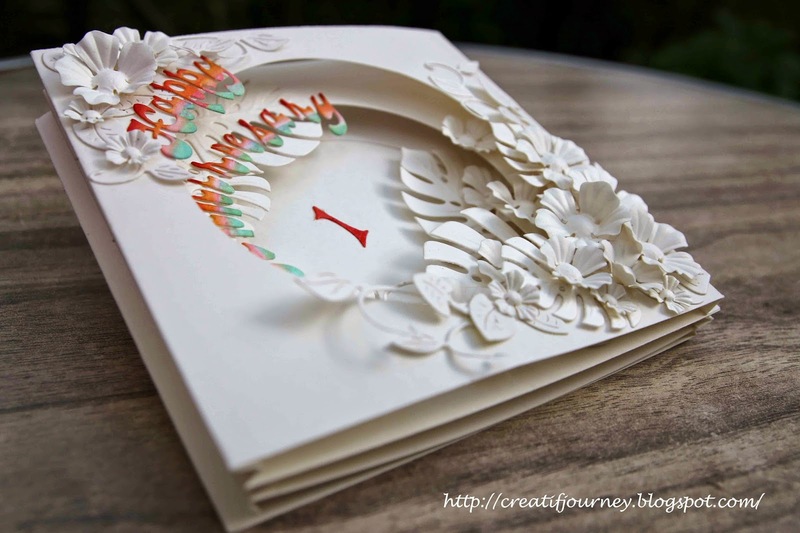 A beautiful card Mee Foon, I love the dimension you've achieved. Beautiful card, Mee, I love white on white, it is so elegant and classy! Good luck and thanks for joining in on the fun at Cheery Lynn Designs challenge. Gorgeous flowers and layering! Thanks for joining the Cheery Lynn Challenge and I hope you can join us for the "roses challenge" starting today. What a pretty card, Mee, love all the flowers and the many layers. Thanks for joining in the fun at the colourQ. Wow, such a beautiful card! Wonderful layered design and all the white with the pop of colour is gorgeous. Thank you so much for sharing with us at the Simon Says Stamp Monday Challenge Blog! This is exceptional, oh my goodness! Beautifully done. Thanks so much for joining us at ColourQ!